Masconsumption Media presents the 2nd Annual Valley Gala and it was a HUGE Success! Wow, I would say last night (1/31/16) was a huge success. As far as my vision for what I want the Valley Gala to be, we are moving in the right direction. 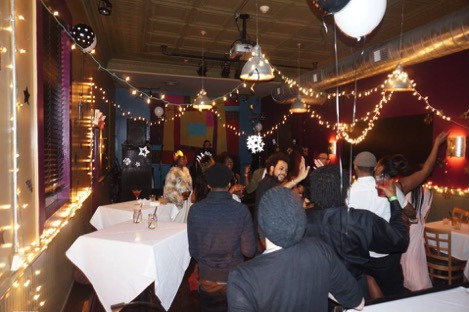 Hat City Kitchen was packed last night for the 2nd Annual event. I recognized people from the Valley Arts District community, and friends and family from New York City came by as well. What I enjoyed most was being able to meet many people for the first time last night. That means word is getting out about Masconsumption, the Valley Gala, Hat City Kitchen and the Valley Arts District. I want to thank Al Gold and the rest of the blues jam crew for ending early enough so myself, Brittany and the rest of my wonderful volunteers could set up. Thank you Dan, Kirk, Deonte, Ms. Craig, and the other volunteers who helped out. We could not have done it without you. Brittany led the decoration committee and we were able to transform the bar, lounge and stage area for the formal event. Our goal was for when people looked at the photos they did not recognize they were taken at Hat City Kitchen. I think we did a good job of that. Speaking of photos, the wonderful Patrick Hilaire did his thing with the photo booth we set up in the dining room. Gold strings served as backdrop inspired by the Golden Globes after party. 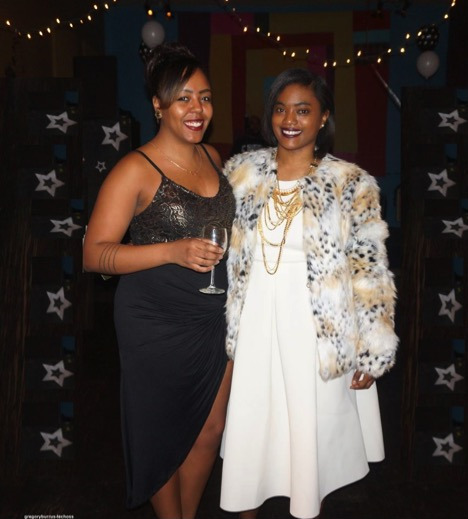 Everyone was dressed to the nines as they posed for Patrick and Gregory Burrus. I loved viewing everyone's outfits and change of usual attire. Special thanks to the chefs who prepared the delicious food for the night -- Josh Hewitt of Quiet Fire Catering and Jeff Dorch of Dragon of the West 89 -- who both have honed their skills at Hat City Kitchen. You missed out on mini cheddar bay biscuit bites, Parmesan crusted shrimp and more. My mouth is watering thinking about the meals they'll prepare next year. I also want to apologize to Tisha of Sugar Coated Affairs who prepared delicious cupcakes that did not have a chance to go out. That was completely my fault. She is an amazing baker and person who I hope we can showcase one day for a future event. DJ Anton3z was a real hit. He was great at catering to the audience and was extremely professional. We had a great time mostly due to his music. We were all on the dance floor an hour after the party ended, really having a blast. I cannot wait to hire him for more events, including the Valley Gala next year. Thank you to everyone who came, and the feedback for this event has been amazing. I could not imagine it going this well. From last year to this year, I have met many people who helped me in a lot of ways. Thanks to personal relationships, aspects of the party keep getting better and better. I am filled with so much gratitude and am truly humbled by Sunday night's experience and hope everyone had a lot of fun. Please continue to spread the word about the Valley Arts District and Masconsumption. Sign up for our mailing list, and check out past events and photos and more. Photographs by Patrick Hilaire, Gregory Burrus & Le’Trice DeShon.